As American Muslims, my wife and I had tried to insulate our children from the noxious elements of the presidential campaign, avoiding mention of the ominous “Muslim ban” or alarming anti-Muslim rhetoric. Nevertheless, we live an age of ubiquitous social media, and protective parents are no match for the exchange of information that takes place on the schoolyard playground. As it turns out, our young triplets were more concerned for the safety of their Latino classmates in the face of Trump’s demonization of undocumented Mexican immigrants than with our status as a vulnerable, much-maligned religious minority. Within weeks of taking office, however, President trump signed Executive Order 13769, the infamous “Muslim ban.” This directive sent shock waves throughout the global Muslim community. Gone was any pretense of respect for law-abiding Muslims or lip service to the contributions of native or immigrant Muslim citizens. President Trump, building upon the lessons absorbed by candidate Trump, had discovered a simple yet effective formula for ratcheting up support among his political base: invoking the dreaded Muslim Boogeyman. Thus it was no surprise to American Muslims that in the midst of a government shutdown engineered to secure funding for his border wall, President Trump played the Muslim card. No longer content with vilifying desperate Central American migrants, Trump tweeted unverified, anonymous, and implausible rumors of “Muslim prayer rugs” materializing at the US-Mexico border. The not-so-subtle implication that Devout Muslim equals Dangerous Terrorist was not lost on America’s Muslims. Trump supporters certainly get it, creatively adapting and weaponizing the image of Muslim villain to suit a wide variety of scenarios. Recently, a Broward County Commissioner accused newly-elected House Rep Rashida Tlaib, one of two Muslim women elected to Congress in 2018 and the first Palestinian American Congresswoman, of plotting to blow up Capitol Hill. Even by the extraordinarily uncivil standards of the contemporary political climate, this level of demonization – painting an elected member of Congress as a potential suicide bomber – remains unheard of. Meanwhile, a confrontation between a Native American elder and a band of smirking, MAGA hat-wearing male high school students in Washington, D.C. exploded across social media. 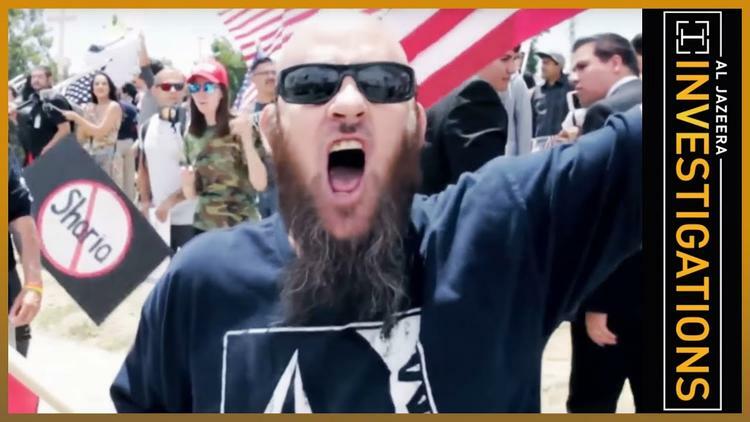 Against the backdrop of dueling online narratives, the mother of one of the young men caught on film surrounding and mocking the Native American gentleman released a statement which blamed “black Muslims” for instigating the conflict. Of course, black Muslims had nothing to do with the standoff. Instead, cellphone footage captured a handful of Black Hebrew Israelites, members of an obscure religious sect known for haranguing passersby, facing off against the Covington Catholic High School students. In Trump’s America, however, truth is often sacrificed on the altar of “alternative facts”, and Black Israelites become indistinguishable from African American Muslims. It bears mentioning that African American Muslims comprise an especially vulnerable segment of the Muslim community as dual targets of scapegoating. Beyond the stigma associated with being Muslim in post-9/11 America, African Americans confront a host of other challenges stemming from ongoing systemic racism – from racial profiling to mass incarceration, housing discrimination, and segregated, over-populated schools. The wealthy parents of Covington Catholic High School can afford to hire expensive public relations firms to repair the damaged reputations of their privileged sons, even as right-wing pundits and feckless media figures flock to their defense. Who, if anyone, will defend black Muslims against these casual, careless smears? The deliberate campaign of vilification of all things Muslim in American political discourse carries other real-world dangers. Last week in Kansas, a federal judge issued sentences ranging from 25 to 30 years to three members of a right-wing milia known as “Crusaders” who were convicted in a foiled 2016 plot to blow up a mosque and apartment buildings housing Somali Muslim immigrants. Prior to sentencing, attorneys for the three men cited Trump’s violent, anti-Muslim rhetoric as a factor in their clients’ radicalization. Also last week, in an incident that received far less attention than the Covington High School imbroglio, authorities apprehended three young men (former boy scouts, no less) for plotting to attack a peaceful, mostly African American Muslim enclave in upstate New York. Remarkably, this was not even the first violent conspiracy against the small community of Islamberg. In 2017, a man from Tennessee was arrested for scheming to burn down the community’s mosque, while in 2015, an Arizona man issued threats against the town’s residents. According to published reports, extreme right-wing media outlets had stoked public fears of Islamberg by painting the enclave as a terrorist training camp. Far too often, the mainstream press reports at face value or amplifies tenuous, unsubstantiated allegations against Muslims rather than challenging the underlying, often public anti-Muslim bigotry of the individuals or groups making the accusations. This needs to stop. There are no “two sides” to calculated smear campaigns based on prejudice, innuendo, and outright falsehoods. When, for example, President Trump or his supporters advance the outrageous claim that Middle Easterners have “infiltrated” a “caravan” of Central American asylum-seekers, rather than duly reporting that they haven’t seen any “Middle Eastern” looking individuals, responsible media outlets should instead strongly denounce the Islamophobic presumption that refugees from Arab or Muslim lands, solely by virtue of their ethnic or religious backgrounds, represent a security threat against the American public. Otherwise, by simply debating whether or not prayer rugs were found, or Middle Easterners were present, while sidestepping the larger ethical issue, the press unwittingly contributes to the Trumpian narrative that fosters suspicion and promotes violence against an entire community. Basil Abdelkarim is a physician based in Southern California, local Muslim activist, writer, and a founding member of a charitable organization that works on behalf of needy children in the Middle East and elsewhere, KinderUSA.